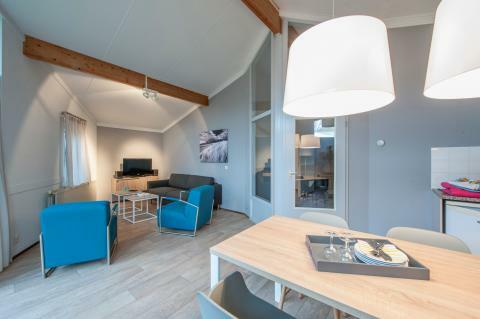 Roompot Hof Domburg in Domburg - the best offers! 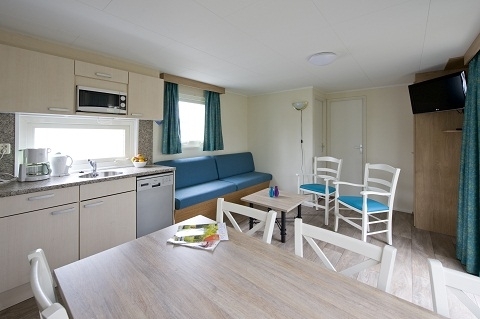 Roompot Hof Domburg is a luxury holiday park in the province of Zeeland. 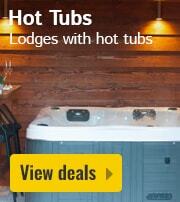 Relax in the spa and beauty centre, take a dip in the pool and explore the beautiful surroundings. This price applies to 4-person cottage Comfort 4A Restyled, with the arrival as 10 May 2019, 3 Nights. 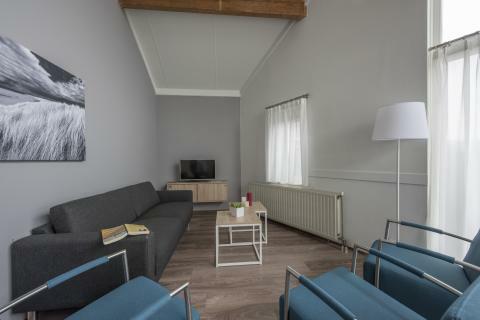 This price applies to 4-person cottage Comfort 4M Restyled, with the arrival as 27 May 2019, 2 Nights. This price applies to 5-person cottage Comfort 5A Restyled, with the arrival as 10 May 2019, 3 Nights. This price applies to 4-person cottage Comfort 4B Restyled, with the arrival as 10 May 2019, 3 Nights. This price applies to 5-person cottage Comfort 5B Restyled, with the arrival as 10 May 2019, 3 Nights. This price applies to 6-person cottage Comfort 6A Restyled, with the arrival as 27 May 2019, 2 Nights. This price applies to 8-person cottage Comfort 8A Restyled, with the arrival as 27 May 2019, 2 Nights. 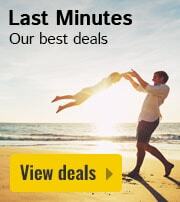 This price applies to 6-person mobile home/caravan SCR, with the arrival as 27 May 2019, 2 Nights. 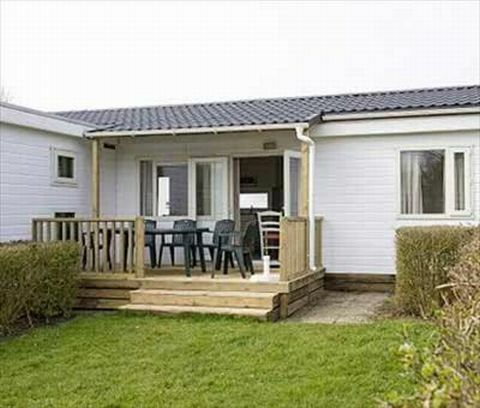 This price applies to 6-person mobile home/caravan SCRV, with the arrival as 3 May 2019, 3 Nights. 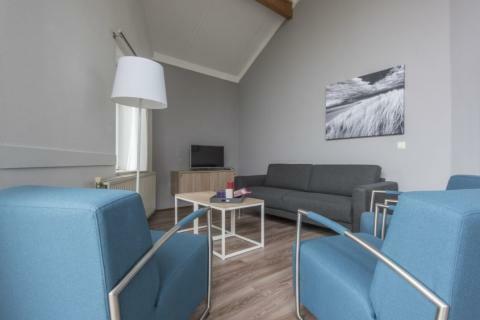 The luxurious holiday park Roompot Hof Domburg is situated on the northwest coast of the Walcheren Peninsula in Zeeland. At the park, you can unwind in the spa and beauty centre, take a dip in the indoor pool, or relax on the beach. 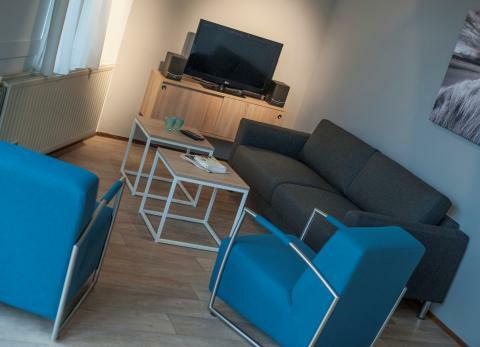 Roompot Hof Domburg offers many different facilities. The indoor pool is perfect for rainier days, while the outdoor pool is always there for sunny weather. You can enjoy an afternoon bowling with the whole family, as well as a game of mini golf or squash! 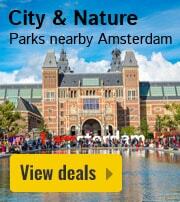 You can even rent a bicycle and explore the beautiful surroundings. There is a table tennis and pool table at the park. For those who really need to relax and unwind, you can visit the spa and beauty centre; relax in the sauna, the Turkish steam bath or the solarium. 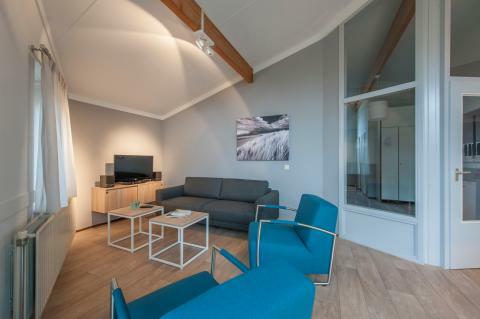 The children will find plenty of entertainment at Roompot Hof Domburg. 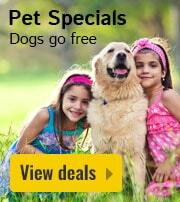 They can enjoy the children’s swimming pool, jump around in the outdoor and indoor playgrounds. There is also a trampoline at the park. The Kood Kids Club organises fantastic activities during high season. 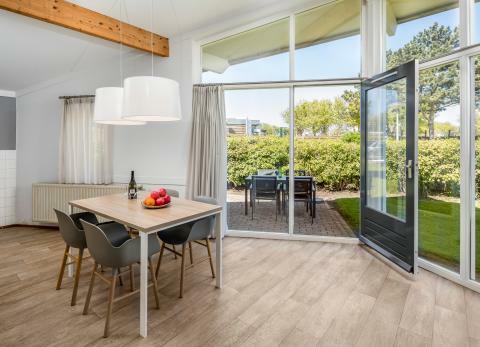 There are several eateries at Roompot Hof Domburg, including a restaurant and a snack bar. 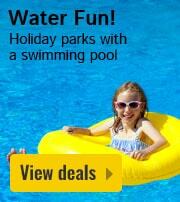 There is plenty to do in the surroundings of this holiday park! 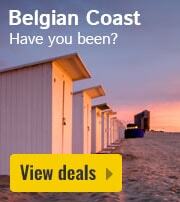 When the sun’s shining, you can relax on the beach at Domburg. Spread out your towel and soak up the sun! Visit the local market or take a bike ride through the Manteling, a forest filled with beautiful gardens. One of the best walks in the area goes to Westhove Castle and the Zeeland Biological Museum. In addition, trips to the historic towns of Middelburg and Zierikzee should not be missed.